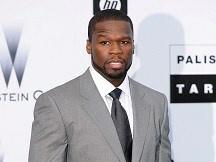 The Anchorage Daily News reports that Curtis Jackson, the performer's real name, has been cast for Frozen Ground. Academy Award-winning actor Nicolas Cage will star in the movie detailing the police investigation of Hansen, who preyed on prostitutes and strippers in the 1970s and early 80s in Anchorage. Hansen confessed to killing 17 women; some he let loose in the Alaska wilderness and hunted. Cage will play an Alaska State Trooper who investigated the murders. John Cusack will play Hansen, and Vanessa Hudgens, of High School Musical fame, will play a victim who escaped.